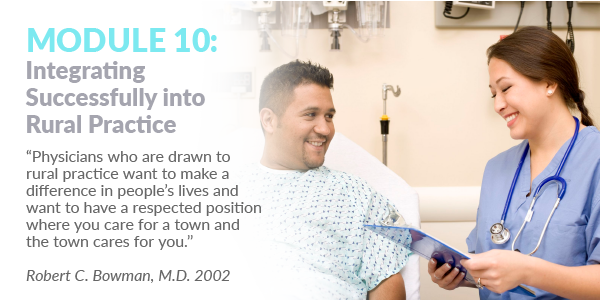 Module 1 introduces participants to the concept of patient-centered care and why it is the model of choice in the North American healthcare system. 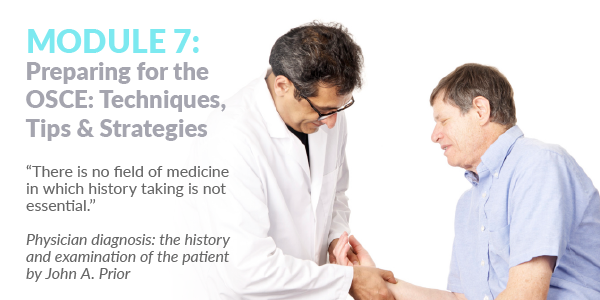 This module also emphasizes the importance of taking an organized history for both practice and OSCE exam settings. Participants are introduced to the expected interview structure taught in North American medical schools. 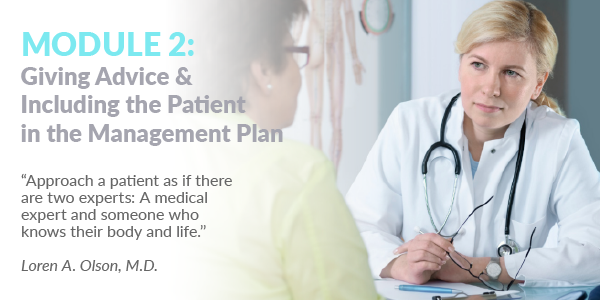 Module 2 explores how to organize a mutual plan of action with the patient. It includes an in-depth view of presenting treatment options, explaining treatment options and negotiating a mutual management plan. This module also looks at non-verbal communication and how to build rapport with patients using a patient-centred care model. 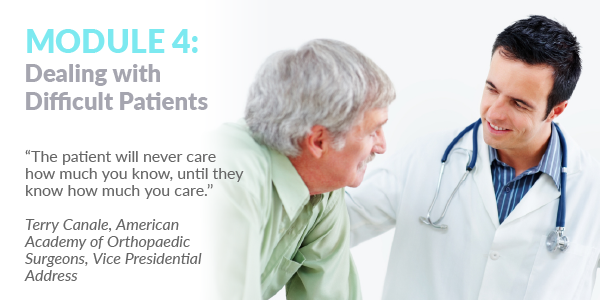 This module builds on Module 1 and provides a deeper understanding of patient-centred care. 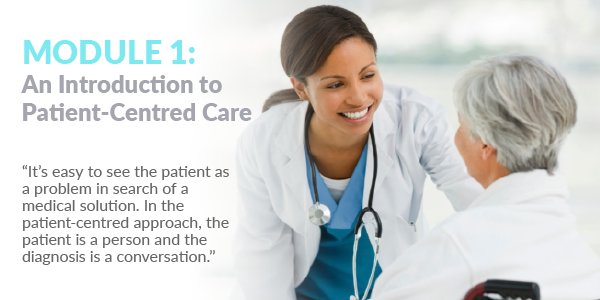 This module expands on participants’ knowledge of explaining treatment options and negotiating a mutual plan of action with the patient. This module explores ethical considerations, confidentiality and privacy, and patient rights in view of teenage patients. 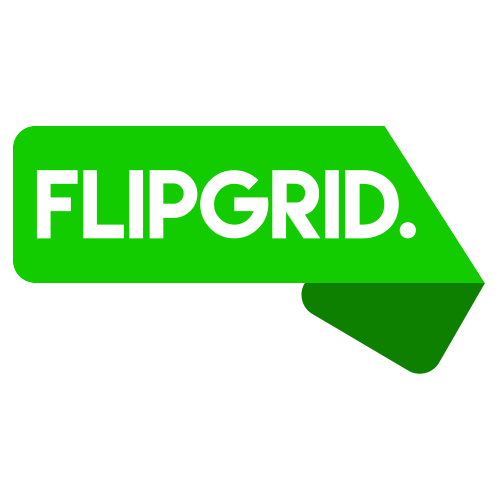 This module highlights how to build rapport, discuss sensitive topics, and improve communication with the teenage patient. 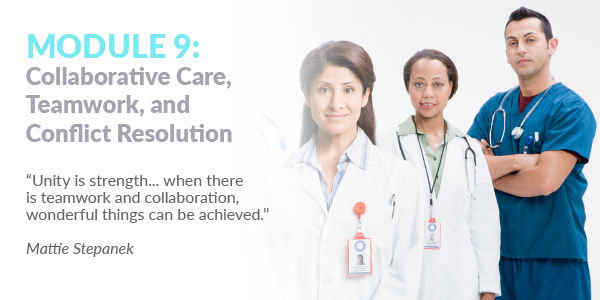 This module expands on techniques explored in previous modules with regards to negotiating the management plan and achieving a mutual plan of action with a difficult patient. Participants learn how to best deal with difficult patients and diffuse patients’ arguments of resistance in a professional manner. 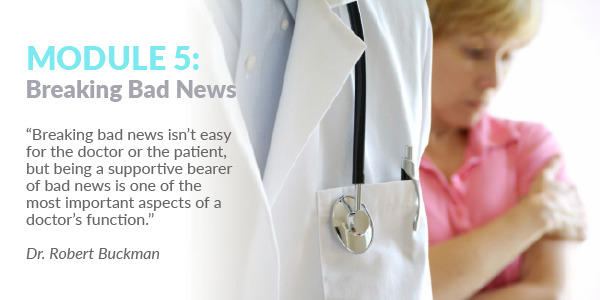 Module 5 explores the very difficult task of breaking bad news in the North American healthcare system. This module emphasizes the importance of developing strategies and techniques to communicate bad news using common models. Through an exploration of situations where breaking bad news is required, this module assists in overcoming the barriers to breaking bad news to ensure that participants possess the skills and techniques to deliver bad news appropriately. 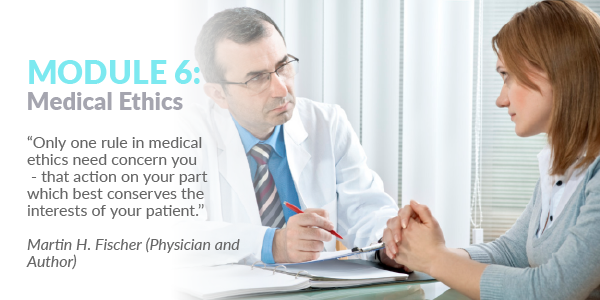 Module 6 explores the ethics of Medicine through the codes and key principles established. The module emphasizes confidentiality, consent to investigation or treatment, and truth telling. The module also looks at obligations and restrictions in the doctor-patient relationship such as conflict of interest, disclosure of personal or moral limitations; professional boundaries; physician’s and patient’s rights; involvement of friends and family. Module 7 explores the structure and concepts behind OSCEs. Participants review different types of cases, assessment checklists, and video performances. Tips & strategies to the OSCE from the beginning to the end of cases are provided. Exam-taking strategies and techniques are presented so test-takers can demonstrate their communication and clinical skills confidently during an OSCE. 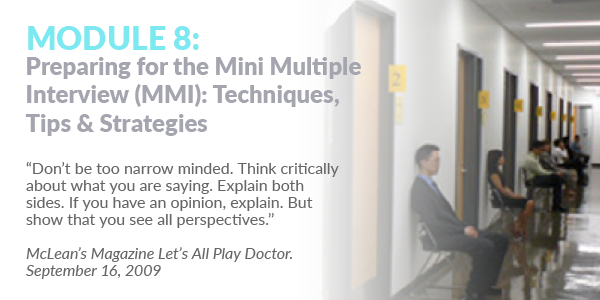 Module 8 provides an overview of the MMI. The role and the expectations of the interviewers and the interviewees are highlighted along with the personal traits and characteristics the MMI interviewers are assessing. The module provides interview strategies and response techniques for different scenario types so candidates can respond confidently. In this module, participants are introduced to the National Interprofessional Competency Framework. The four aspects are explored with an emphasis on conflict resolution. Participants are asked to describe how they would respond to different scenarios. Feedback is provided based on North American expectations to resolving conflict in a professional context so participants can successfully deal with any workplace conflict that arises. This module introduces participants to rural practice. Differences between rural and urban practice are explored along with opportunities and challenges. Lastly, this module looks at the skills and attributes physicians require in order to integrate successfully into rural communities.